The library was named after Dr. William Cullen (1867-1948) - Chemist & Metallurgist. William Cullen was born in Shettleston, Scotland. He studied at the Royal Technical College, Glasgow, and at the School of Mines, Freiburg, Saxony, Germany. After completing his studies, he joined Nobel Explosives Co.Ltd. In 1900 he was sent to their factory at Modderfontein in the Transvaal, South Africa. At this time the Modderfontein factory was the largest explosives factory in the world. Appointed General Manager in 1901, he later became a director, a position he held until 1924. Cullen's contact with the mining industry introduced him to the scourge of the underground mineworker: silicosis. He took up this cause and worked hard to promote good health conditions underground. This activity drew him into the field of education - a field in which he remained active all his life. He served as a member of the Transvaal Council of Education from 1908 to 1915, and during this period was associated with organizations that later developed into the University of the Witwatersrand. He returned to Britain in 1915 to serve in the ministry of Munitions during World War One, but his connection with South Africa and work for the University of the Witwatersrand continued. He was secretary of the University's London Committee, and chairman of the Appointments' subcommittee. In 1924 he received an honorary doctorate, and 1929 he founded the William Cullen Medal ( Science Faculty). In 1931 the University library was destroyed when the Central Block, where the library was then housed, was gutted by fire. The Vice-Chancellor immediately set about raising funds to build a new library and a new collection. A Fire Appeal Committee was established in London, and Cullen served as the honorary secretary from 1932 to 1934. Under his direction, this committee succeeded in gathering 32 000 volumes to send to the new library that opened its doors in March 1934. In 1974, in acknowledgement of Dr. Cullen's contribution to the well-being of the University, and especially of its library, the University named the first permanent library building after him. 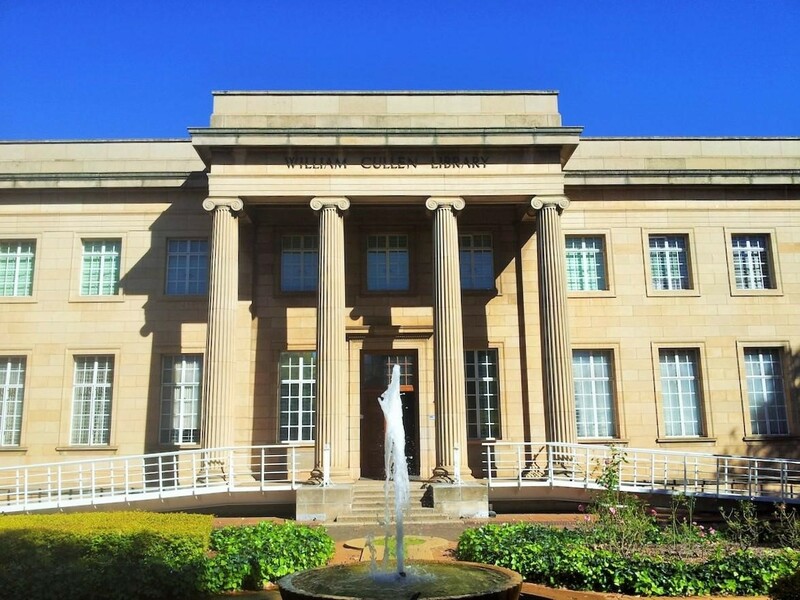 The William Cullen Library is situated on the East campus of the University, in Braamfontein.